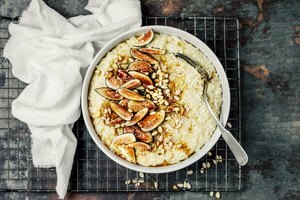 If your rice pudding comes out runny, these tips can help you figure out why and what to do to fix it. Select medium-grain rice for the optimal balance of starch and texture in your pudding. 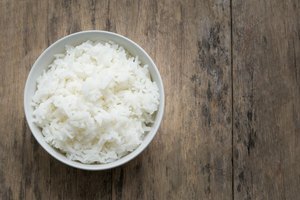 Short-grain rice varieties contain too much starch for a desirable outcome and make the pudding sticky, explains Abigail Johnson Dodge in a Fine Cooking article. Long-grain rice varieties are too firm and chewy. Use 2 percent or whole milk, not cream or half and half, as the pudding's dairy component. 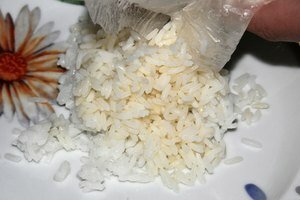 The milk absorbs into the rice without leaving a fatty mouthfeel. Eggs are the primary thickening agent in rice pudding, so use the amount called for in your recipe. Sugar is hydrophilic, which means it attracts water molecules. 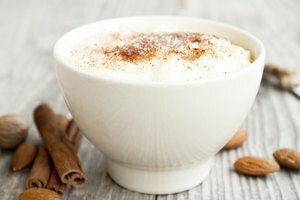 In rice pudding, using more sugar than called for can make your dessert runny by preventing liquid from being absorbed by the rice. 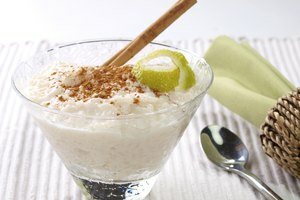 If you like your rice pudding extra sweet, top it with brown sugar, honey or maple syrup before serving. Rice needs time to absorb the milk. Unlike some foods that can be cooked quicker by turning up the heat, this dish simply cannot be rushed. If you turn up the heat you will end up with curdled milk and hard, undercooked rice. The pudding is done when most of the liquid is absorbed and the rice is tender but not mushy. Use a food thermometer to check the temperature of the dish. It should reach a minimum temperature of 160 degrees Fahrenheit to ensure the egg content is fully cooked. Cook the rice in milk until it's nearly done, then whisk in the eggs to form the custard that thickens the pudding. Take temperature readings from several areas in the pan to avoid making doneness judgments based on hot or cold spots. Let the rice pudding cool. Cooling firms the proteins in the milk and egg, thickening the custard. Add an egg. Warm the pudding then slowly whisk in a beaten egg. Cook until the pudding reaches an internal temperature of 160 F.
Fold in whipped cream. Let the rice pudding cool completely, then fold in whipped cream. The resulting pudding will be lighter and more airy than traditional rice pudding, but still delicious. Turn the rice pudding into a souffle. Fold in stiffly beaten egg whites. Bake in a 400 F oven until the pudding puffs and turns golden brown.